HP is rolling out two more products, adding to its A3 laser multifunction range. The LaserJet Enterprise flow M830 is a monochrome MFP running at up to 56 ppm onto A4, whereas the Color LaserJet Enterprise flow M880 can run at up to 46 ppm in color or black. 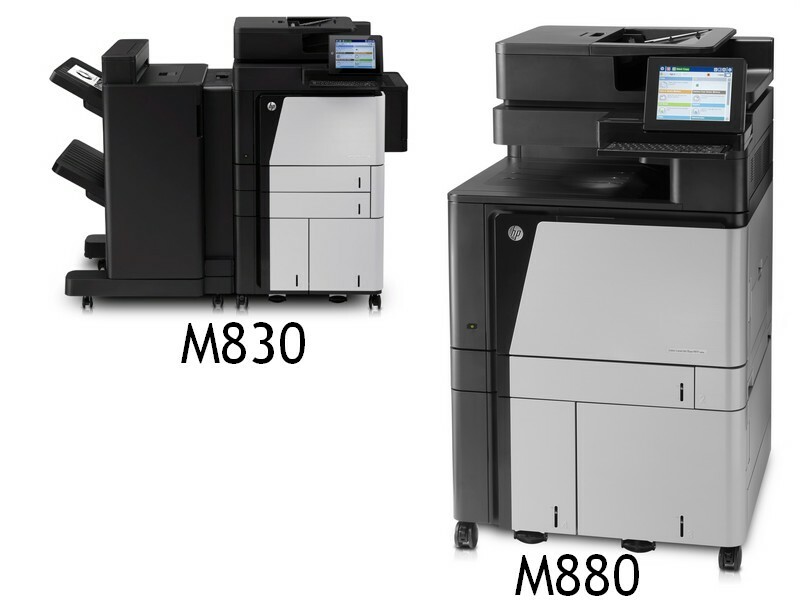 The monthly duty cycles for these machines have been set at 50,000 pages for the M830 and 25,000 for the M880. Printing from mobile devices is one of the strengths HP is highlighting for these new products. Both the M880 and M830 have WiFi / NFC (Near Field Communication) versions. The latter of these two technologies allows one-click printing without printer set up since the device is detected automatically (NFC operates at distances under 10cm, 4 inches). Security and access rights can be set using HP Web Jetadmin or from the embedded web server. Devices supporting NFC are mostly Android or Windows Phone smartphones and tablets, but both of these HP MFPs support Apple AirPrint too. This allows the brand to claim the widest support for native printing apps (i.e. without the need to install anything else). All the specs for these two machines will be available to DMO subscribers very shortly!